Something for those of us who can't vote in the upcoming election. 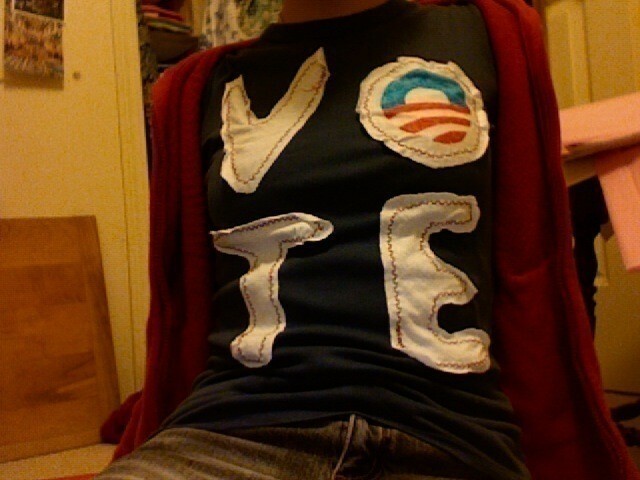 I made this shirt because I think it's silly how few eligible voters in the US actually vote. If I could (I'm too young) I would SO take advantage of my right! 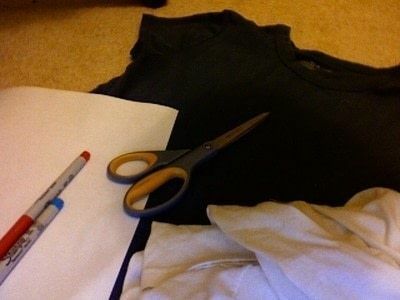 A few notes: I used a sewing machine which was faster and made the letters more secure, BUT, by all means if you are sewing-machine-less, don't let that stop you! Also, this tut could be used for any message you want, not just VOTE. I used an old fitted t with a few minor stains, so I didn't wear it much any more. The white fabric was from a huge old t with a terrible design on the front. 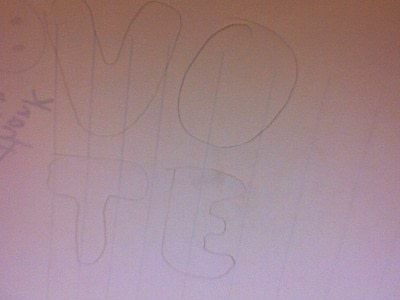 BUT, what you should do is draw your letters out onto scrap paper and cut them out. Now place the paper letters onto your scrap fabric and trace around them. I support Obama so I wanted to have his "logo" in my O. If you don't wanna put it in, just skip the step, or put your own thing in. I sorta cheated by using Sharpies instead of proper fabric paint. 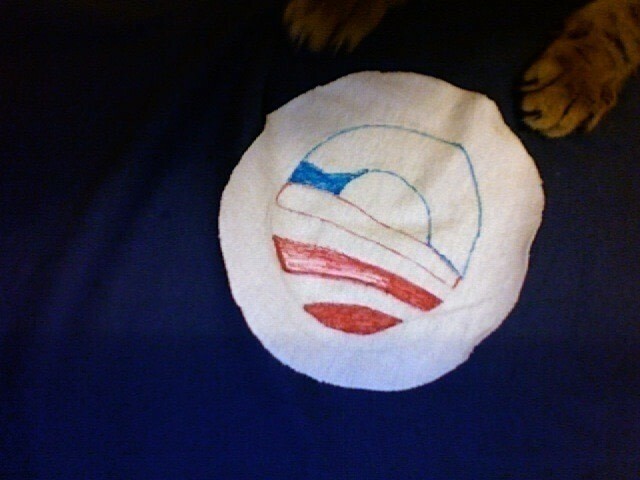 My cat supports Obama too. 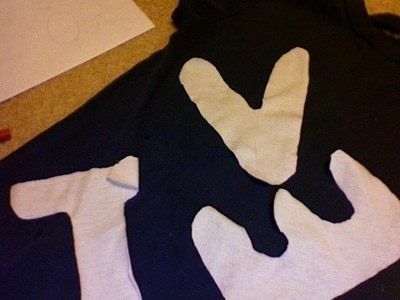 Next, pin the letters onto the good t and make sure they're in the right places. I used contrasting thread on my sewing machine. It was quite tricky to sew around the letters perfectly because you don't have too much control, but the wrinkles give it a vintage-y look that I like. Hand sewing would be slower, but much more precise. <---And, here's the finished product! OH YEAH! I LOVE OBAMA! nice t-shirt ! love it ! ooo can't wait to try this! nice job, go obama!!! I spy with my little eye...a harry potter fan?? ?